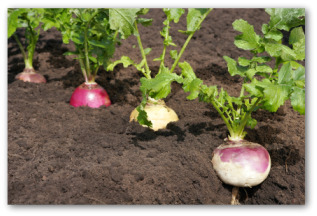 Here are some easy tips for growing turnips when home vegetable gardening! 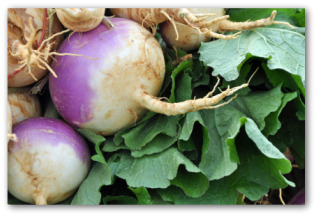 Learn how to plant, care for, and when to harvest turnips in your backyard vegetable garden. 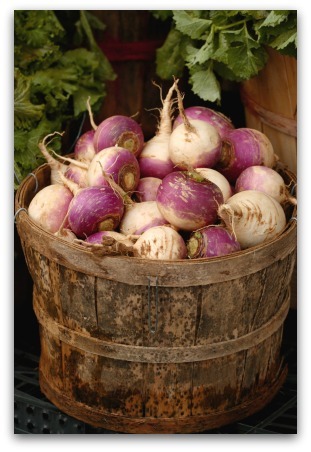 Grow your own delicious turnips to eat fresh, or add to soups and stews. 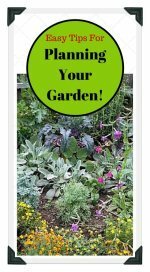 Although many people are familiar with these tasty vegetables, few gardeners grow them. In part perhaps due to the vegetable having developed a reputation as a poor man's crop. This is a shame because planting turnips is extremely easy and the crops provide the spring garden with one of its first signs of green. 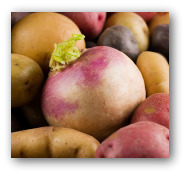 As with many root crops, turnips will be devoured by root maggots unless something is done to deter the pests. After you sow the turnip seeds at 1 inch intervals along a ½ inch deep furrow, water the row with a mixture of water and insecticide. This deters the maggots for a week or two but repeated applications will be needed at 10 day intervals throughout the growing season. Stop the pest treatment two weeks before harvesting begins. Soil temperature should be at least 40 degrees before sowing turnips. For transplants, start seeds several weeks before setting out, which can be done a month before the last frost. To time fall planting, count back 9 weeks before first expected frost. For a head start, use early maturing varieties. Turnips can withstand all but very hard frosts without protection. 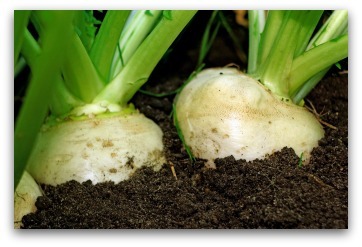 Turnips grow well in rich, loose soil with a pH between 6.5 and 7.0. These light feeders need only low amounts of nitrogen. This root crop tolerates partial shade. Critical time for watering is at the beginning of root development. Mulch to keep soil cool and moist, which encourages the best turnip growth. Organic controls include placing paper collars around the base of transplants to prevent female flies from laying eggs around stems. In addition, cover seedbeds with floating row covers soon after seeds are sown for root maggot infestation prevention. Applying beneficial nematodes in seed rows or as a top dressing around growing turnips can be effective in controlling the larvae. Another option is to introduce the rove beetle into your vegetable garden to feed on the root maggots. Additionally, diatomaceous soil can be added to your beds. The soil additive is a natural sedimentary rock that dehydrates the insect larva, causing it to die. It is not unusual for the March planting of the humble turnip to be the most spectacular crop in the May garden. Early in May, drench the soil in the turnip row with insecticide. When you thin the plants mid-month, the insecticide will have had two weeks to dissipate, and the pulled seedlings will be edible. The seedlings double in size every week, making the thinning process even more critical than usual. Mid-May, pull every other plant in the row, using the pulled seedlings for turnip greens. Leave a final spacing of 4 to 6 inches between the plants. Immediately after thinning, give the remaining plants a final application of insecticide. The growing turnips will be ready for harvest by the end of the month. Harvest roots while still small. 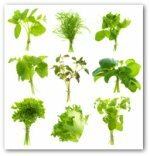 For greens, harvest a few from each plant throughout the season. Rotary-till under crop wastes right after harvesting to destroy over wintering root maggot sites. 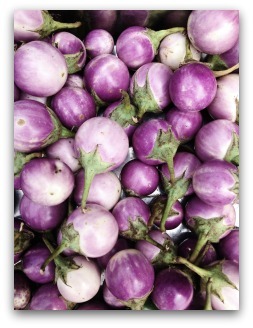 Two varieties most often recommended by avid gardeners who are experienced at planting turnips are Tokyo Cross Hybrid and Purple Globe. Tokyo Cross does best as a fall crop and matures in a quick 35 days. Des Vertus Marteau roots do well for short-term storage since they resist sprouting. Seven Top is slow to bolt and a good choice for extra-early or late planting.